On Friday, Dec. 4, GLORY will make the promotion’s long-awaited debut in the Netherlands. GLORY 26: Amsterdam will be the first trip to the once kickboxing mecca and birthplace of Dutch-style kickboxing, a style that represents a combination of traditional Muay Thai techniques with that of Kyokushin karate and boxing, focusing primarily on agility and speed of techniques. Prime examples of the Dutch style are Ramon Dekkers, Ernesto Hoost and one of the fighters in the main event, the Combat Press No. 1-ranked pound-for-pound kickboxer in the world, Nieky Holzken. The GLORY welterweight title will be on the line when defending champion Holzken goes up against GLORY welterweight contender tournament winner Murthel Groenhart. Groenhart earned his title shot with two wins in one night at GLORY 25: Milan in November. 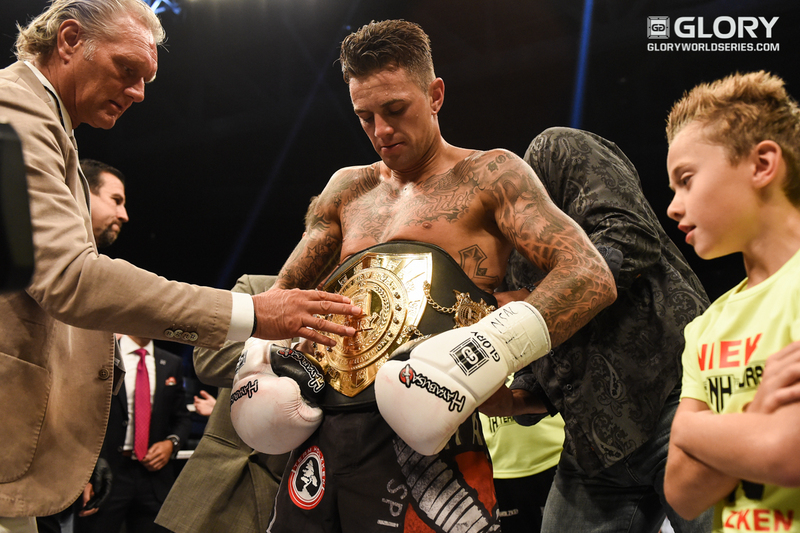 Holzken won the vacant title at GLORY 23: Las Vegas when former GLORY welterweight champion Joseph Valtellini vacated the title due to Post-Concussion Syndrome suffered during training. The championship bout is a rematch of an October 2010 match in which Holzken defeated Groenhart by decision after an extension round during the quarterfinals of the United Glory 2010-11 World Series. In the evening’s co-main event, GLORY heavyweight champion Rico Verhoeven will attempt to stave off No. 1 contender Benjamin Adegbuyi’s second shot at a GLORY world championship. 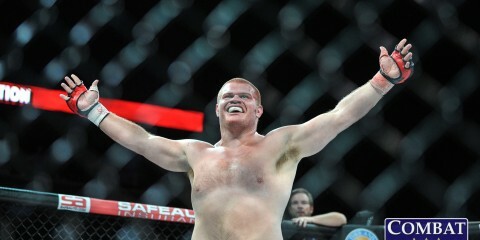 Verhoeven has defended his heavyweight crown twice since earning the title with a decision victory over Daniel Ghiţă at GLORY 17: Los Angeles. He last defended his title against Adegbuyi at GLORY 22: Lille in June. 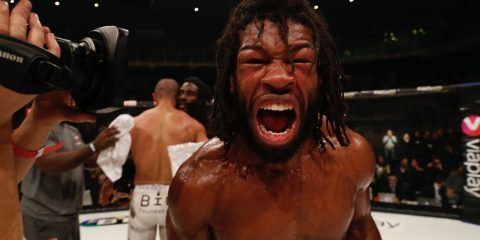 Adegbuyi earned his second shot with victories over Mladen Brestovac and Jahfarr Wilnis in the same night during the GLORY heavyweight contender tournament at GLORY 24: Denver in October. The main card also features the four-man, one-night GLORY featherweight contender tournament. Former GLORY featherweight title challenger Mosab Amrani and K-1 veteran Chi Bin Lim will make their second appearances in a GLORY tournament. Both men were featured in the eight-man, one-night featherweight championship tournament at GLORY 8: Tokyo in May 2013. American Shane Oblonsky will make his second GLORY contender tournament appearance after losing to former GLORY featherweight champion Gabriel Varga in the finals of his first tournament at GLORY 17. The fourth tournament participant, Maykol Yurk, will make his promotional debut after fighting his way up the ranks in Brazil. The winner of the semifinal bouts will move on to fight in the finals after the heavyweight title fight. The GLORY Super Fight Series returns with another top-notch fight card featuring top-10 talent and upcoming prospects. The main event of the SFS features top heavyweight kickboxer Errol Zimmerman returning to GLORY to fight Belgian kickboxer Thomas Vanneste. The 2014 heavyweight contender tournament champion Zimmerman will be making his return to GLORY for the first time since a decision loss to current champion Verhoeven at GLORY 19: Virginia in February. 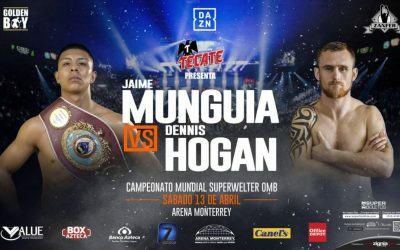 In a battle of top-five light heavyweight kickboxers, Danyo Ilunga looks to get back in the win column against Dutch-Tunisian kickboxer Mourad Bouzidi. Ilunga replaced Bouzidi’s original opponent, fellow top-10 fighter Michael Duut, on a few weeks’ notice. The fight is a battle of veterans with more than 150 fights between them. Top-10 welterweight Karapet Karapetyan takes on Swiss veteran Yoann Kongolo. Kunlun Fight World Middleweight Tournament quarterfinalist Perviz Abdullayev will fight Moroccan Aziz Kallah in a lightweight contest. Two Dutch light heavyweights clash when 46-fight winner Fred Sikking takes on 53-fight winner Zinedine Hameur Lain. The GLORY 26 main card will broadcast live on ESPN 3 and Eversport at 4 p.m. ET. The GLORY Super Fighter Series card will stream live on Eversport at 1:30 p.m. ET. The GLORY 26 main card will be replayed on ESPN2 on Sunday, Dec. 6, at 8 p.m. ET. Nieky “The Natural” Holzken is a 31-year-old Dutch fighter who has made a name for himself fighting the top competition the kickboxing world has to offer for the past eight years. Holzken really hit his stride following a win against Marco Pique in 2011. Since the loss prior to that bout against the No. 2-ranked welterweight in the world, Holzken has reeled off 14 wins in his past 15 bouts, with his only loss coming by extra-round split decision in 2012. Holzken racked up wins against top-10 fighters Karapet Karapetyan (twice), Davit Kiria, Karim Ghaji, Joseph Valtellini, Alexander Stetsurenko and Raymond Daniels (twice). The impressive record has catapulted Holzken into many pundits’ pound-for-pound lists. Holzken last fought in August when he weathered the diverse kicking offense of Daniels and systematically picked him apart from just outside boxing range. The third-round cut stoppage came when Holzken’s punches split open a gash on the left eyelid of Daniels. Murthel “The Predator” Groenhart is a 29-year-old Dutch-Surinamese kickboxer training under Mike Passenier at Mike’s Gym. 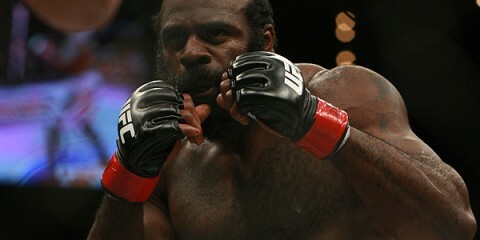 Groenhart has battled past inconsistencies and earned his shot at a rematch of the 2010 bout he believes he won. 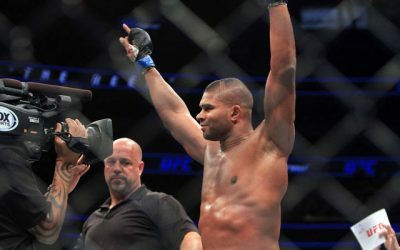 The 2012 K-1 MAX World Grand Prix champion was once a top-ranked lightweight before finally making the full-time move to welterweight at GLORY 23. Groenhart’s inconsistency showed in his debut at 77 kilograms when he lost to the United Kingdom’s Chad Sugden. Sugden was unable to participate in the GLORY 25 contender tournament due to an injury, leaving room in the field for Groenhart to step in. 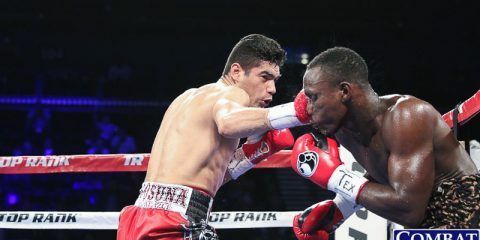 Groenhart aggressively put an end to Italian welterweight Nicola Gallo when the bout was stopped in the second round due to a cut. Groenhart continued his path toward the title with a dominant decision win over top-10 Frenchman Ghaji. Holzken has proven time and time again that he is one of the most technically gifted fighters in kickboxing. He has even turned his kickboxing success into a professional boxing career, showcasing the true level of his skillful striking. Groenhart is an aggressive fighter who has demonstrated a knack for moving in and out of striking range with ease, something Holzken has mastered at the highest level. Groenhart will need to start the fight quickly, work in his low kicks and hope that one of his shots hits the mark in this five-round affair. Holzken is the type of fighter to patiently wait for his openings against a dangerous opponent, but he is also a fighter who likes to put a stamp on his victories. Holzken will take what Groenhart can give him, start picking up his volume and combination striking in the latter rounds and stop Groenhart in the fourth frame with a series of devastating strikes to further cement himself as the best welterweight in the world. Rico Verhoeven is a 26-year-old Dutch kickboxer from a Kyukoshin karate and Dutch-style kickboxing background. Verhoeven made his GLORY debut in 2012 at GLORY 4: Tokyo. Verhoeven lost in the quarterfinals of the heavyweight grand slam to four-time K-1 World Grand Prix champion Semmy Schilt. The loss would not be a setback, but a push toward further success. Verhoeven has not lost inside the white ring since, racking up an impressive eight-fight winning streak inside the promotion. Verhoeven beat top-10 heavyweights Daniel Ghiţă (twice), Errol Zimmerman (twice), Gökhan Saki and Benjamin Adegbuyi. Adegbuyi is a 30-year-old Romanian heavyweight fighting out of the Respect Gym in Romania. 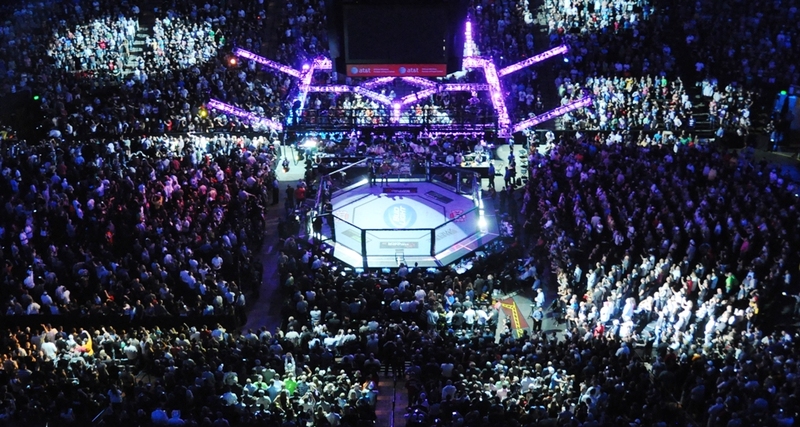 The 2012 Superkombat World Grand Prix champion debuted with the promotion at GLORY 14: Zagreb in March 2014. The technical knockout win over Dmytro Bezus would start a streak of three wins before he faced Verhoeven for the first time and lost. The five-round decision loss didn’t keep Adegbuyi down for long. The big heavyweight dominated late-replacement opponent Alexandr Soldatkin at the Tatneft Cup Final in September before returning to the promotion at GLORY 24. 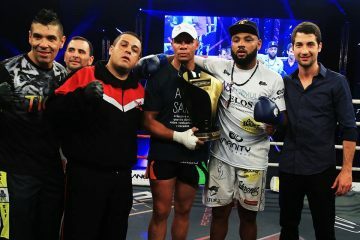 Abegbuyi defeated Final Fight Championship heavyweight champion Mladen Brestovic and Kunlun Fight heavyweight champion Jahfarr Wilnis in one night with a series of impressive work with his leg kicks. Due to his sheer size for his age, Verhoeven began his kickboxing career at the age of 16. 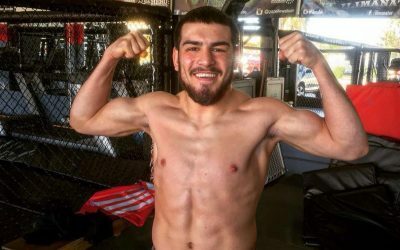 He will be the slightly smaller fighter in this contest, but he will hold an almost five-inch reach advantage over Adegbuyi. The reach, speed and work rate in which Verhoeven operates will again give the big Romania heavyweight trouble. Adegbuyi is an athletic 6-foot-6 and has shown a well-rounded skill set behind a stiff jab and follow-up right hand. Adegbuyi throws in combination to the body and head. Adegbuyi will be comfortable working inside. This fight is closer than the last, but Verhoeven is not going to let his GLORY title slip out of his hands without a fight. Verhoeven will showcase what made him the best heavyweight in the world and take another decision from Adegbuyi. Mosab Amrani is a 28-year-old Dutch kickboxer hoping to jumpstart his title aspirations and earn a championship bid after an impressive contender tournament performance, much like Murthel Groenhart did to earn his shot at Holzken’s title. Amrani is hoping to accelerate his ascent to the featherweight title after two back-to-back defeats. He slipped in the rankings when he lost to Gabriel Varga after five hard-fought rounds at GLORY 20: Dubai in April. He dramatically fell from the top-five when he was beaten and battered by Chinese fighter Qiu Jianliang at a Wu Lin Feng Championship event in November. Chi Bin Lim is a 36-year-old South Korean kickboxer with a wealth of experience fighting in the once world’s most prestigious kickboxing promotion K-1. Lim competed on the K-1 Korean circuit and qualified for the K-1 Max world tournament on three occasions during a stretch from 2006 to 2009. He earned an extension-round decision victory over Amrani in 2011. Amrani returned the favor in 2014 with a left kick to the liver just under 90 seconds into the pair’s rematch. One has to question the health of Amrani after taking devastating shots and getting knocked down by Jianliang before the fight was called due to a nasty cut on Amrani’s forehead. Lim may not be the hardest puncher on the planet, but he does pack some heat in his flying fists and athletic kicks. Despite the recent losses, Amrani should be ready to bang for as long as Lim can stand. This fight should be a ton of fun for as long as it lasts. Amrani will stop Lim with another brutal body shot. Shane Oblonsky is an American kickboxer residing in California. He began competing in amateur Muay Thai at the age of 18 before eventually making the jump to the professional kickboxing ranks. Oblonsky made his GLORY debut in the GLORY 17 featherweight contender tournament in June 2014. He took a unanimous decision over Brazilian fighter Marcus Vinicius before facing off with former GLORY champion Gabriel Varga in the final. Oblonsky held his own with the Canadian, but he lost a decision. He returned at GLORY 22 with a dominant decision victory over Thomas Adamandopoulos. 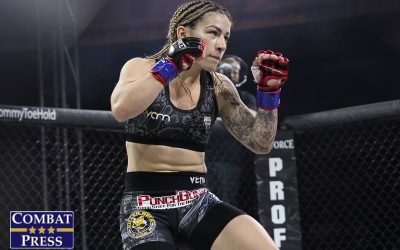 Maykol Yurk is a Brazilian kickboxer with an explosive fight style. 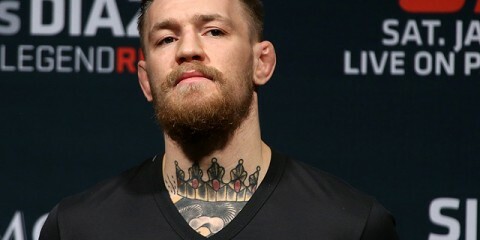 He made his name as an exciting fighter who doesn’t quit until he has his hand raised. Yurk is an athletic fighter who likes to combine his speedy punches, kicks and knees. He will be making his GLORY debut with the chance to fight for the GLORY featherweight title if he can pick up just two wins in one night. 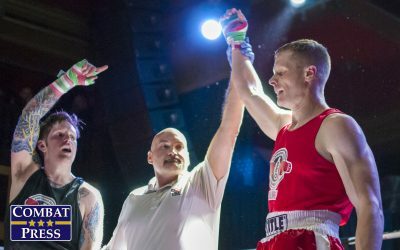 Oblonsky has earned five knockdowns in his three GLORY fights. That power from the American could play a factor against the ever-aggressive Yurk. The Brazilian will surely match him with his explosive attacks and non-stop offense. Expect an exciting fight that could end at any moment. Oblonsky should manage his aggressive foe and find his way to the finals with his handiwork while countering. The power that Oblonsky brings to the fight is a concern for Amrani, especially if he gets into a firefight with his South Korean semifinal foe. Amrani will push the pace, work with a higher volume and look to put an end to Oblonsky’s winning streak and extend his own. Amrani will push through his recent adversity and overcome all odds. He will get the contender tournament victory and earn a fight with new GLORY featherweight champion Serhiy Adamchuk.